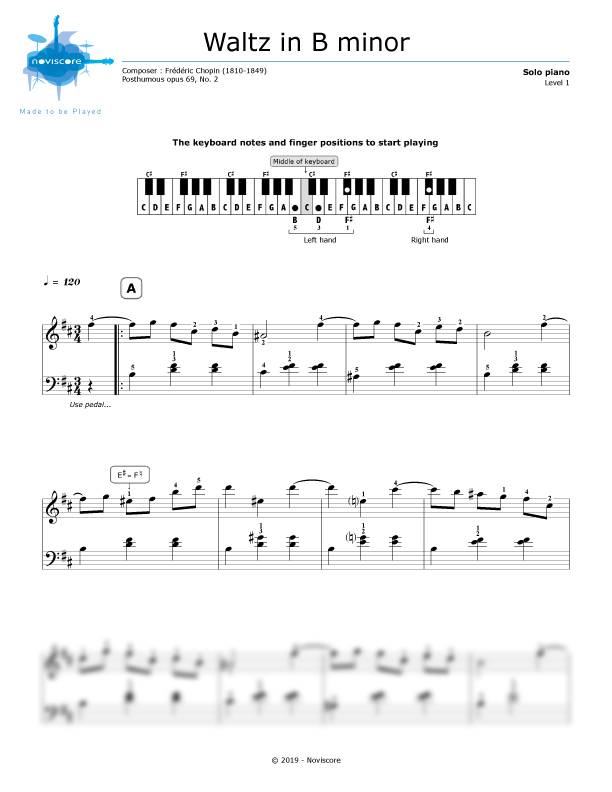 Relive the romantic era with Frédéric Chopin's "Waltz in B minor" piano sheet music, a posthumous work published in 1855 but written in 1829 when the composer was only 19 years old. 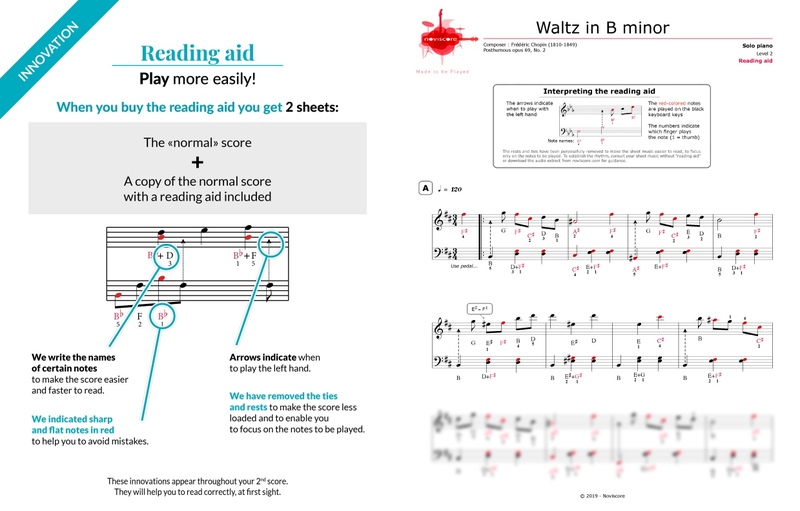 Available in several levels of difficulty, our scores precisely meet the needs of each pianist. 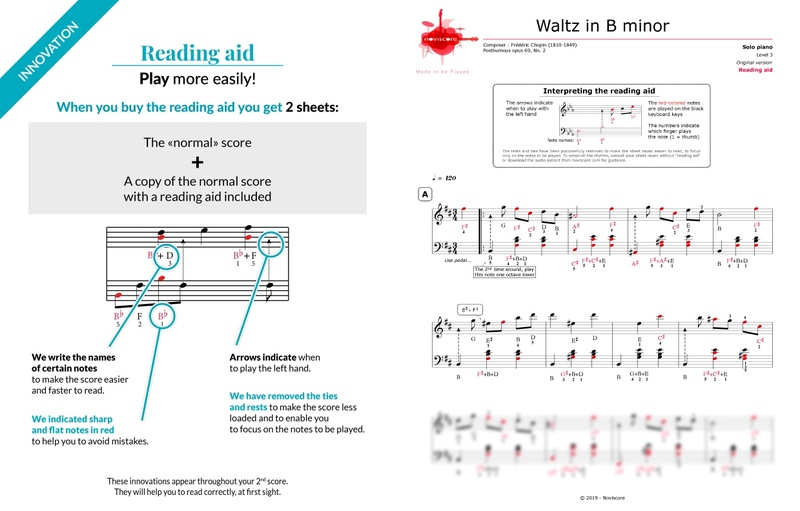 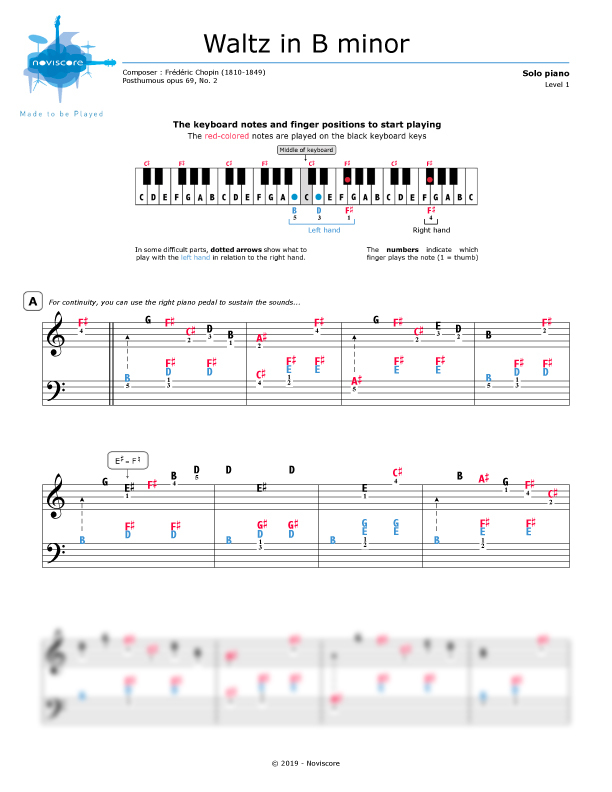 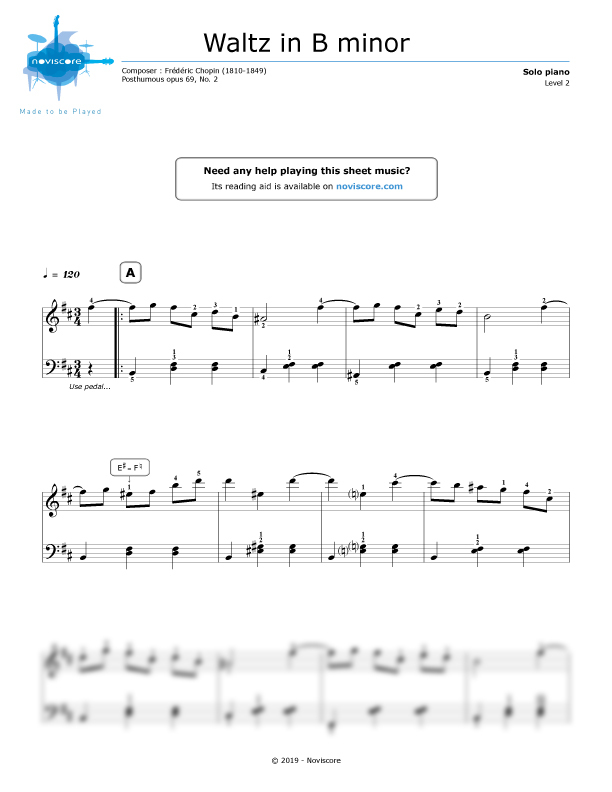 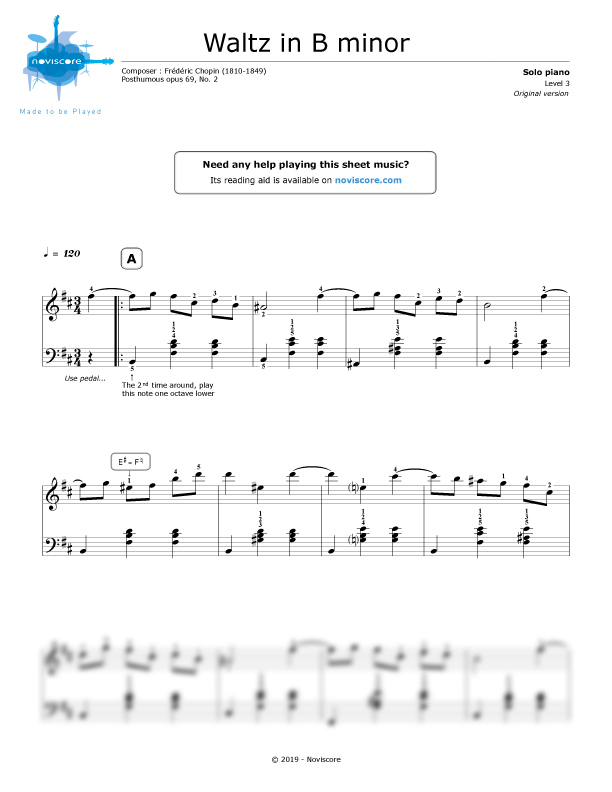 Beginners will even find an easy piano music sheet where the notes have been replaced by their names and which reads a bit like a tablature. 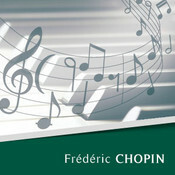 "Waltz in B minor" is one of the few works that Chopin would have liked to have burned before he died.